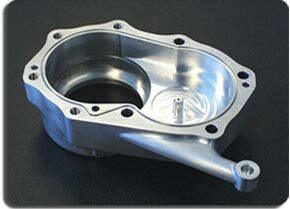 Precision Sheet Metal, CNC Machining, Welding & More - VIP, Inc. Welcome to America’s finest Sheet Metal, Machining, and Welding Fabricator: Vista Industrial Products, Inc. We provide High Quality Products while meeting your demands of prototype, production, or mass production runs. We fabricate a wide range of high quality products for the Commercial, Defense, Medical, High Technology, Kiosk, and retail industries. We work with a wide range of materials ranging from aluminum, steel, and stainless steel! Our large range of metal fabrication equipment, machines, and talented staff under one roof ensures that you have come to the right place for your Metal Fabrication needs! Defense: We are ITAR Registered, Veteran-Owned, and ISO 9001 compliant. We regularly work with prime contractors that require strict military specifications, quality requirements and documentation. Some of the types of products we fabricate for the defense industry include complex welded assemblies, precision brackets and components, chassis, enclosures, lockers, and railings just to name a few. Medical: We are RoHS and REACH Compliant. Many of the medical products we fabricate include medical cabinets and drawers, complex machined parts, brackets, components, panels, chassis, sheet metal enclosures, and much more! Kiosk: Whether you are looking for a simple display kiosk or a complex interactive kiosk with moving parts, we have experience fabricating high quality kiosks at low and high quantities. High Technology / Electronics: We are RoHS and REACH Compliant. 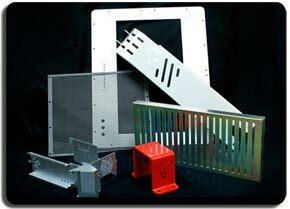 We have experience in fabricating complex machined parts, heat sinks, chassis, enclosures, panels including airflow panels, server racks, and much more! Industrial: VIP has had the opportunity of fabricating some of the most complex industrial assemblies including trucks, trailers, hoppers, and various other large equipment assemblies that often require a lot of welded tubing assemblies, and frames. Commercial: The commercial industry, although very broad, is an industry that we fabricate various brackets, components, panels, enclosures, yokes, arms, shelves, cabinets, housings, and all kinds of metal parts. If you are looking for a quality metal fabricator, you have come to the right place. 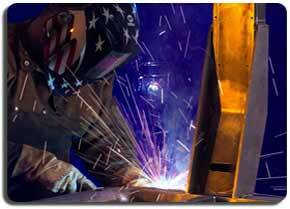 VIP is the premiere San Diego precision sheet metal fabrication, machining, and welding shop in the US. We cater to many companies within Southern California, but also cater to other states and countries that demand high quality fabrication. If you are seeking a high quality metal fabricator that has experience in the industries above, please contact us today to Request a Quote or to find out more about our Engineering Services. We are always looking to partner with companies to grow your product and provide sustainable manufacturing domestically. Or stop in for a facility tour to get an inside look at our capabilities! Not local? No problem! Take a look at our virtual tour video. Thank you for taking the time to view our website and we look forward to building a partnering relationship!